Arlington Gard-N-Post™ Collection Support in black color, features UV rated plastic construction. It measures 26-Inch x 3.361-Inch x 8.11-Inch. It is suitable for use with outdoor light fixture/GFCI device or low-voltage device. It is perfect for installing lighting fixture, GFCI device and low-voltage device outdoors. Openings on both sides of the post allows for back-to-back power. It has built-in stabilizer that offers rigid support. 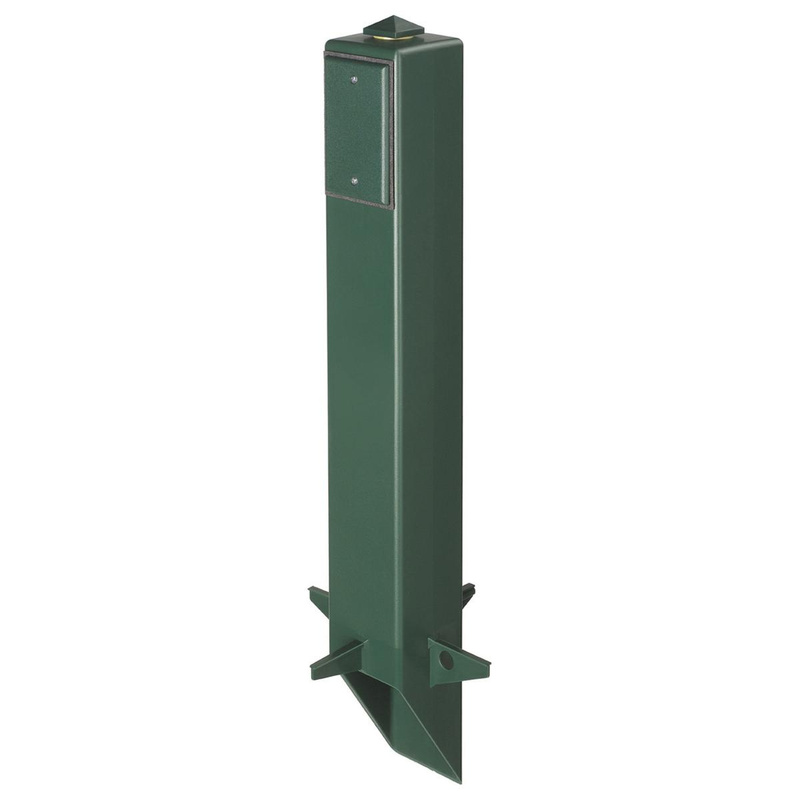 Angle-cut post provides easy access to underground wiring. This support has one locknut with copper ground wire, one 3/4-Inch x 1/2-Inch reducing bushing, two blank device plates, two gaskets, one plug for top hole, one low-voltage separator and one removable knockout plate. Support is UL listed and CSA certified.